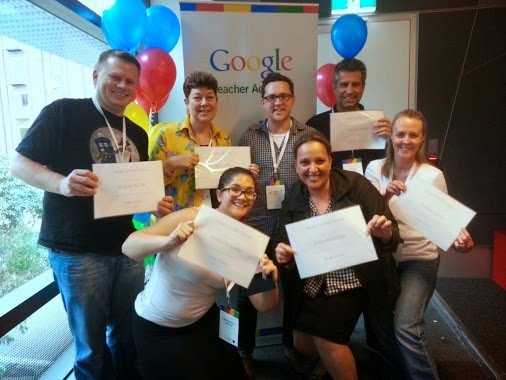 About a month ago I was privileged to be chosen to attend the Google Teacher Academy in Sydney. 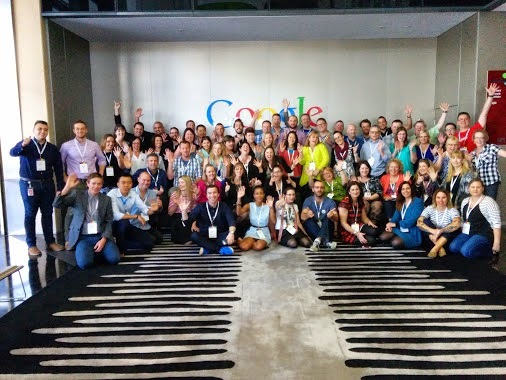 Based at the Google offices in Pyrmont, Sydney, about 50 of us as well as a team of organisers came together to explore, connect, discuss, and come up with NEW ideas and approaches 'moonshots' for improving teaching and learning. What I really liked about this experience is the opportunity it gave everyone to extend themselves and to think once again, even more and positively 'out of the box' of everyday situations to really envisage what might be possible in the future. I am already an Apple Distinguished Educator (class of 2010, Singapore) and have had many exciting professional development experiences over the years. I knew this academy was going to be another step for me along the pathway of realisation of what is possible and to move closer to making it happen. When it was announced No Tosh would be leading the academy I was doubly excited, having connected with both Ewan McIntosh and Tom Barrett in the past I knew the quality work they were doing around the world. Hamish Curry, another No Tosh team member was in Sydney with Tom as well. 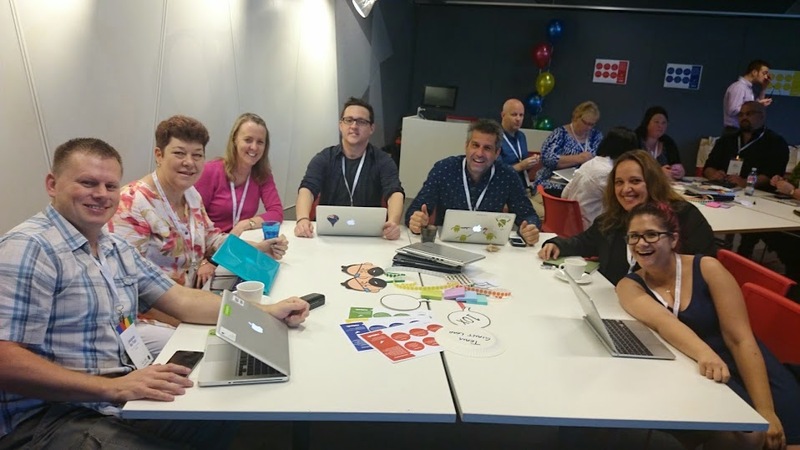 The Google Teacher Academy grouped us into teams and we met online for about three weeks before gathering in Sydney. Hats off to our 'Giant Leap' (our team name) leader, Matt Ives from New Zealand who worked hard at bringing us together and supporting our ideas and dreams. I loved the fact our team was so diverse - in how long we had been teaching (shout out to Kim Sutton, a very young and exuberant teacher! 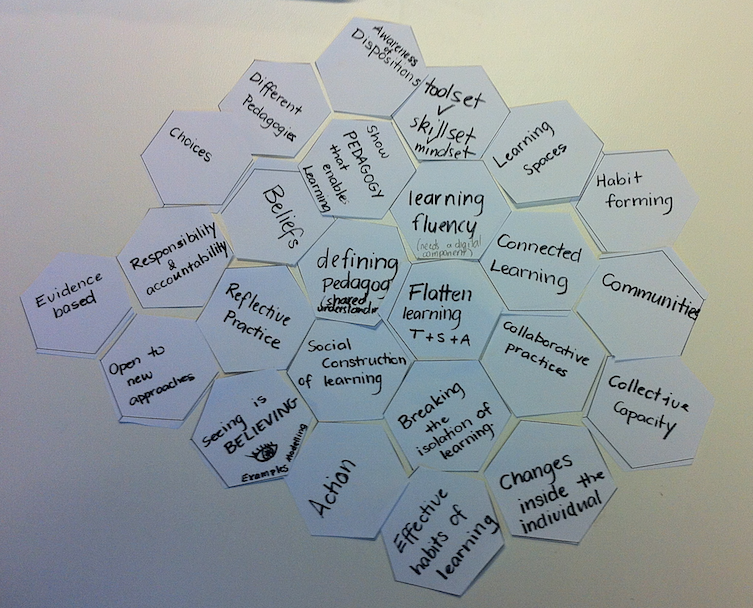 ), our areas of interest and expertise, and our ideas for making the change we all need to see in education. I loved the fact we worked hard as a team for a large part of the academy, sharing ideas for feedback, re-developing, re-sharing and getting more and more excited as more concrete plans emerged by Day 2. I loved the use of Design Thinking to mold our ideas - and even though I have been using this in the workshops I run myself more recently and have a working knowledge of how to apply this - when you actually use it yourself for your own ideas it takes on a whole new meaning! I want to start a virtual school.....but I do not like the term 'virtual school' and the connotations it has with set curriculum and exam-focused learning. 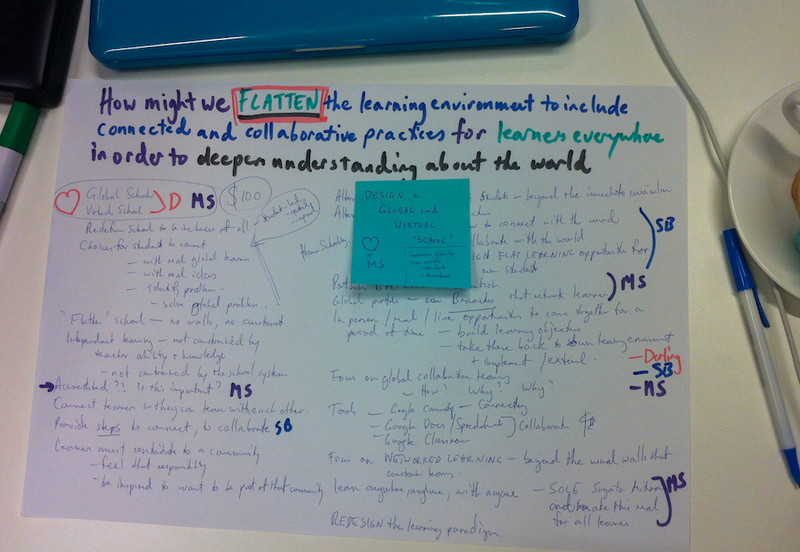 So.......in line with the work I have done with Flat Classroom/Flat Connections in the past 10 years, I want to create what I am calling 'Learning Collaboratives' and put the responsibility onto the students to join these (in conjunction with teachers, or not) and become engaged and motivated through the socialisation of learning, networking and community that build collaborative learning. 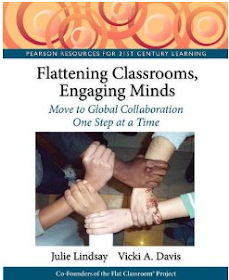 What I plan to do is pilot 'Learning Collaboratives' in 2015. 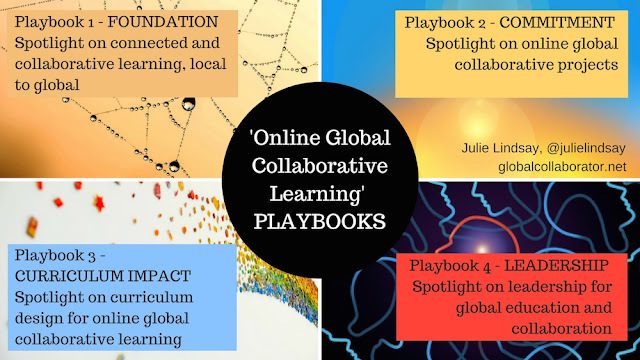 These will be different to the usual global collaborative projects I run. 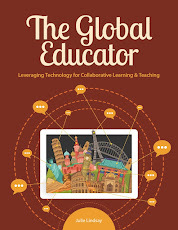 I am putting together details on this Learning Collaboratives doc and hope to have concrete objectives available by the end of October to share and encourage brave teachers and students to come and join. 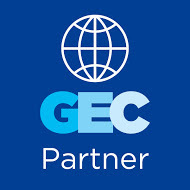 Right now I am planning a 'Social Entrepreneurship Collaborative' (as on the doc.) I am also considering a 'Language Learning Collaborative' with a focus on Chinese. If you have any interest in being part of this please connect with me at any time! Team 'Giant Leap' working hard! Team 'Giant Leap' - stars of the event! 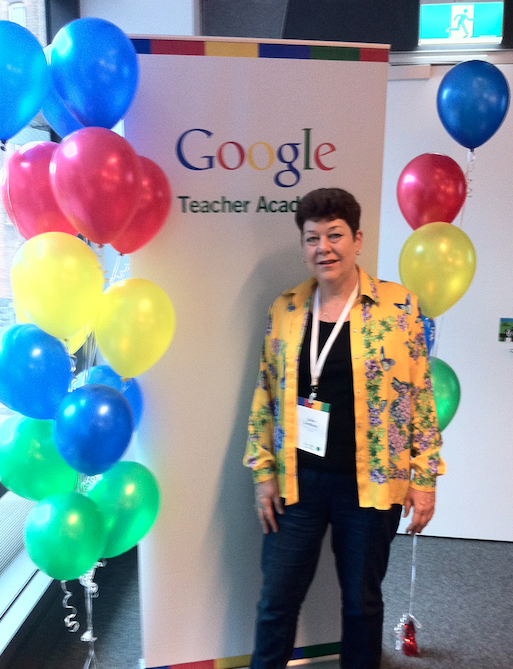 A little blurry - but here I am as a Google Certified Teacher! 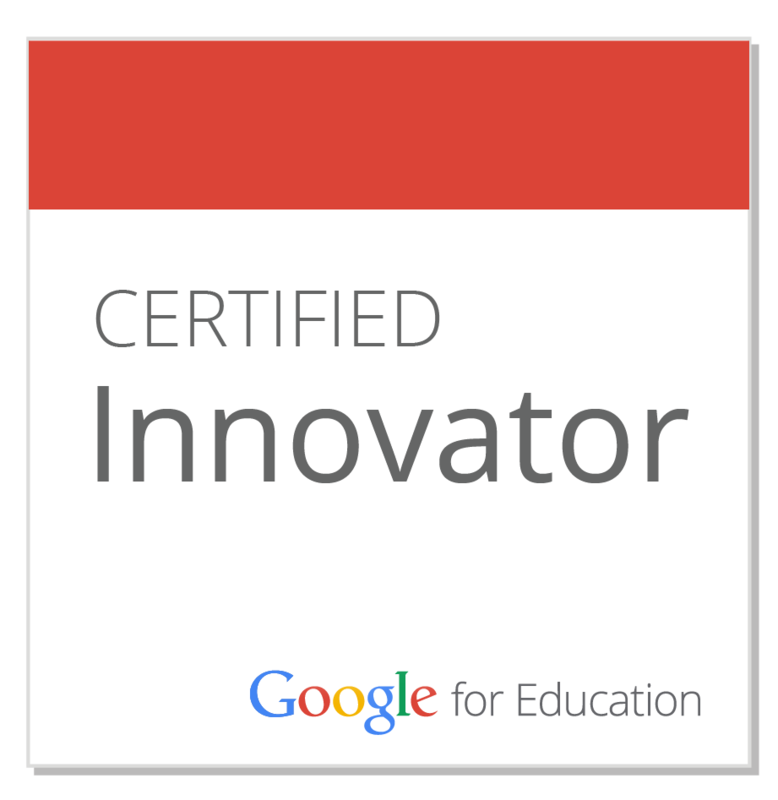 Thanks Google and no Tosh and all organisers. This was a very worthwhile and progressive experience for me and for all involved I believe. Well done!